Counting down 6 more days before we celebrate Chinese New Year in Singapore. Decorations for the festival were installed right after the New Year and we sense the festive mood increasingly, as we get nearer to the date. 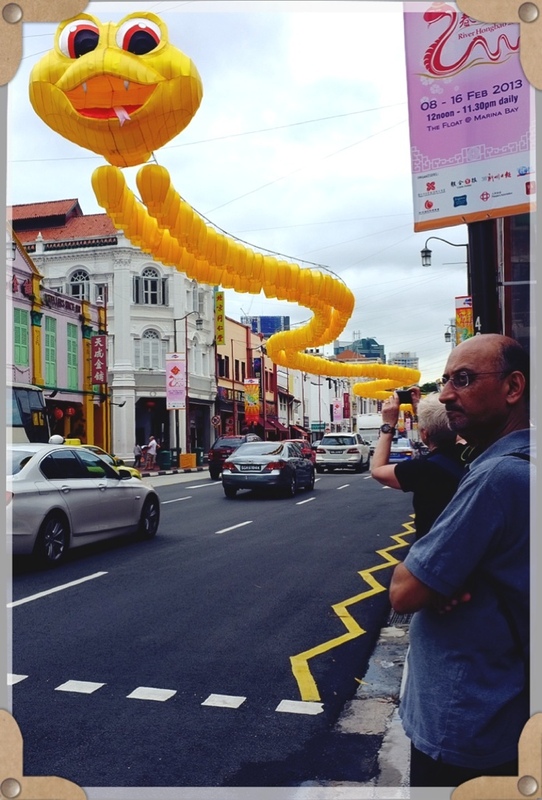 2013 marks the year of the Snake and this year, Chinatown had a creative approach to celebrate the occasion – by forming a yellow snake with many lanterns. The effect was pretty nice, though possibly scary from some angles too.